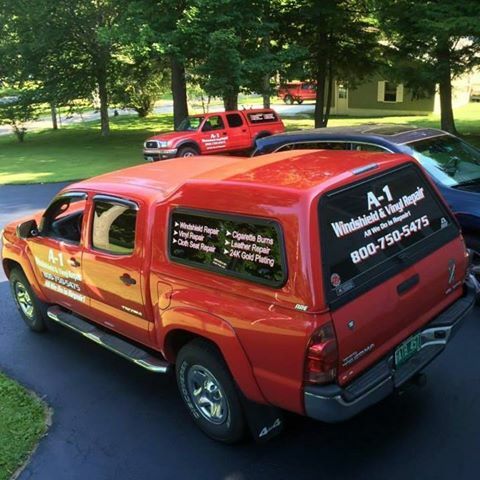 ​ A-1 Windshield & Vinyl Repair is Vermont's only all-in-one mobile windshield, vinyl, and leather repair service. Our certified technicians are skilled in all areas of the services we provide, and have done repairs under all kinds of circumstances. If we can't repair it to our, as well as your, satisfaction, we won't do it. We are a mobile service company, (we come to you) and cover a 100 mile radius from our Jeffersonville, VT location. Most of Vermont, Plattsburgh, NY, West Lebanon, NH. Anytime you need our services please don't hesitate to call 800-750-5475. Remember: All We Do Is Repair! and We'll Come To You!